﻿ What equipment is needed to trap an opossum? What equipment is needed to trap an opossum? When you have a problem with opossums that live near your home and your property, one option is to set traps to catch and/or remove them. When the opossums live within your home, trapping them will not mean that these animals or their friends won’t find their way back inside. Before you look for the items to help you in removing the animal, first you have to understand the situation. 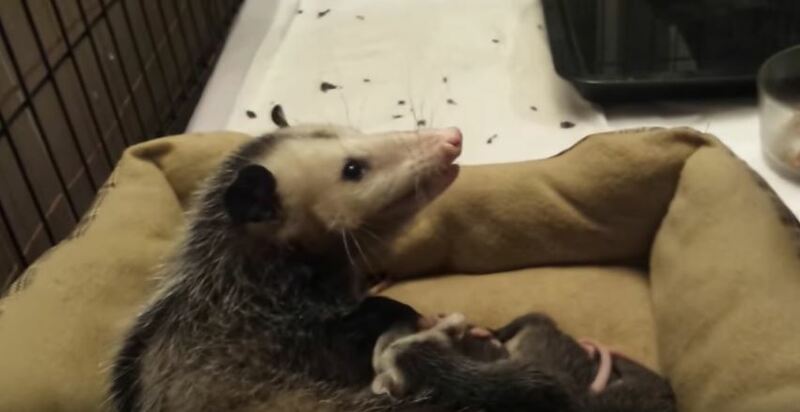 Determine whether you are actually dealing with an opossum or some other nuisance animal. If you determine that an opossum is the culprit, check to see if it has children with it or not, and determine the total number of animals you are dealing with. It is hard to trap an opossum because this animal is nocturnal, so it is not likely to come out of its den during the daytime. This means you will not be able to effectively work with the traps during the daytime but will need to capture this animal during the dark of night instead. It can also get spooked easily and abandon the trap before it has a chance to work. You do not need too many things when it comes to trapping an opossum, but what you will need is to have a well-constructed cage and the best bait. A specific opossum trap cage can be found at farm stores, and it is typically made of wire. You need to make sure that the dimensions of the cage are sufficient enough to carry even a big opossum. The location where you will want to put the trap will depend on where the opossum lives in the home or on the property and what its probable route to food is. Sometimes the opossum can be found under the porch or in other easily accessible buildings like sheds and garages. Before you set up the trap, check the laws in the area regarding the legality of capturing wildlife. These laws may vary widely from place to place. If it is legal to trap the animal, you have to set the trap securely, making sure that it will not wobble. You can set it in a shady spot so the animal will not be in the hot sun when it has been trapped. You should use bait in the trap, which will definitely attract the animal since they are known to be scavengers. Go back to the How to Get Rid of Opossums page or email us if you have any other questions about What equipment is needed to trap an opossum?